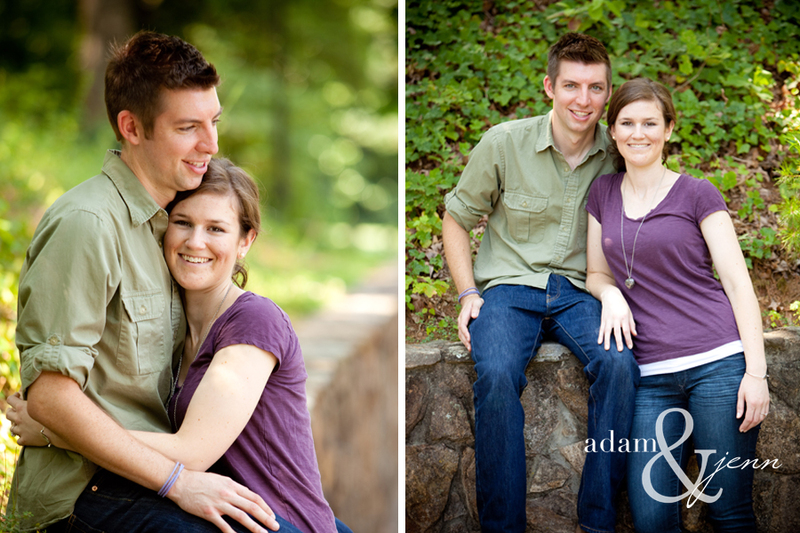 Adam and I had a blast this past weekend!! 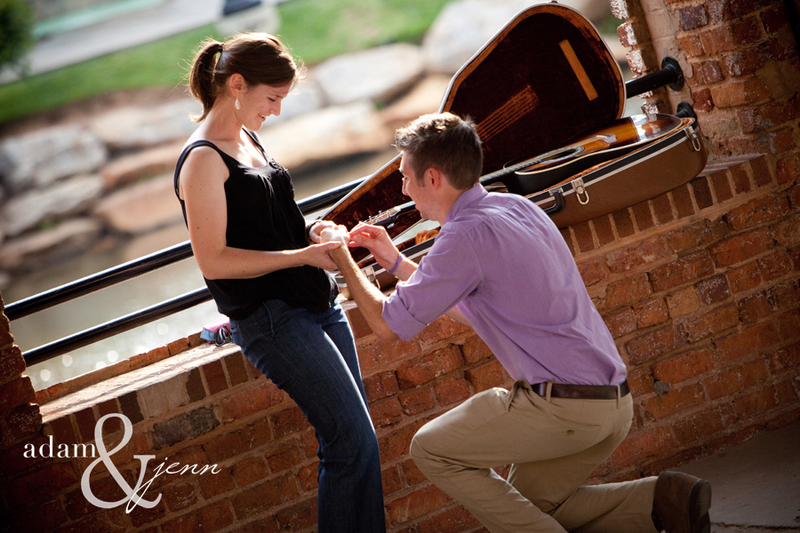 A Flint family adventure took us on a top secret mission…photograph Adam’s brother Justin proposing to his girlfriend. Justin had every little detail planned out and took us around Greenville Friday morning laying out all the plans so that we were fully prepared for the evenings excitement. A half hour before they were to arrive at the “SPOT” a squall of thunderstorms were heading straight for Greenville we had to change everything to Plan B before the storm hit! The moment came Justin sang a song for his bride to be and got down on one knee. Everything was so beautiful and she had no idea we were photographing the whole thing until everyone around her was applauding with excitement. And it never rained!! 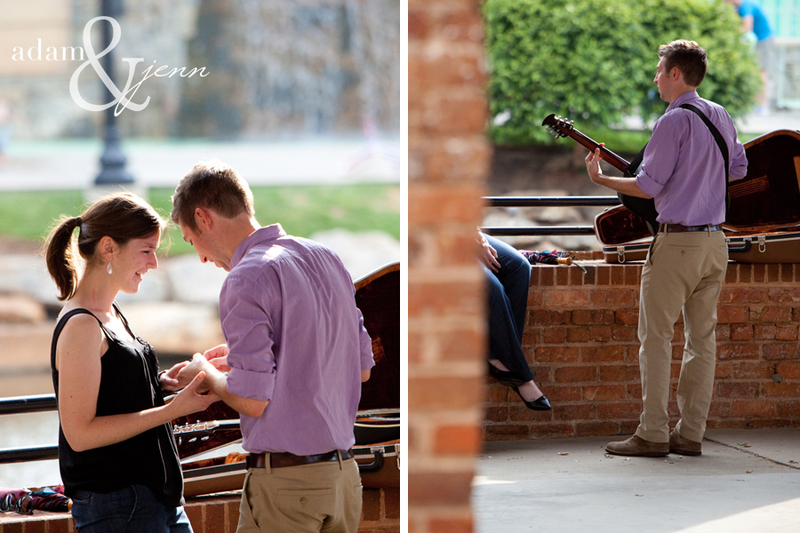 The next day we hopped around town from Furman University to downtown Greenville to take their engagement pictures. We had a really great time celebrating this moment with the two of them and our families. Here are a few of the highlights from our trip!! Congratulations to Juice and Lindsay!!! We are so excited for you! !